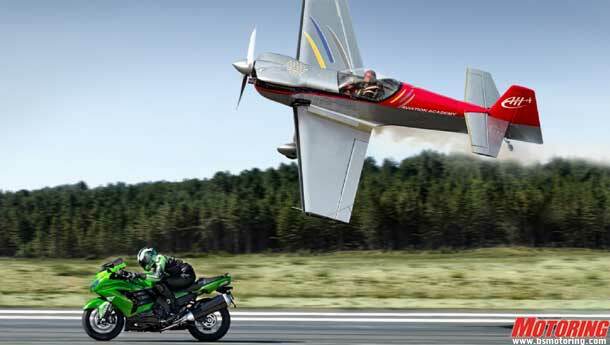 And Kawasaki is not just saying that – Kawasaki is so serious about taking on the legendary Suzuki Hayabusa that their website opens up with a head-to-head drag video of the two and the theme continues. 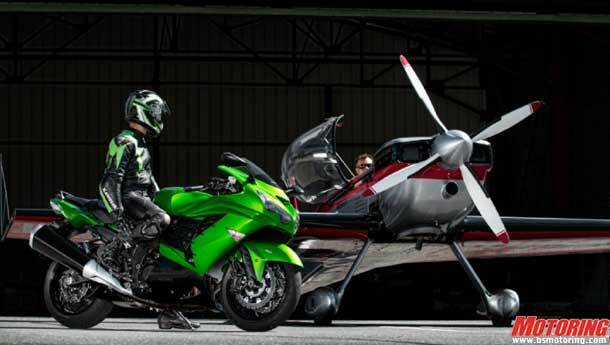 In the videos at least, there’s no doubt the new 2012 Kawasaki ZX-14R kicks the ‘Busa’s head in with its fancy new upgrades. The cosmetics have been subtly updated, making it swoopier, more angular and basically, more menacing to behold while improving aerodynamic performance. It still looks like a motorcycle that the aliens from War of the Worlds would fall in love with but when it comes to annihilating world speed records, this should be your pick. Now to the important bits. 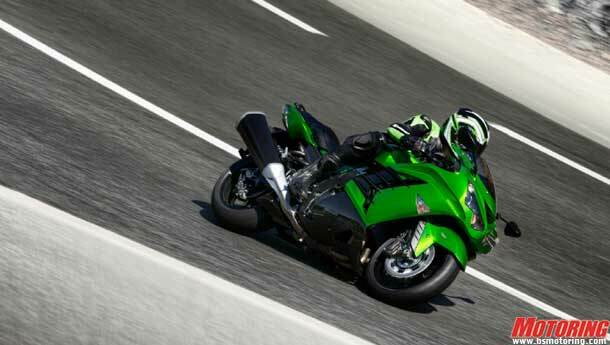 The monster motor has been stroked out to 1441cc with re-worked internals, which Kawasaki, after much poking, revealed was making close to 200 horsepower. Holy moly! The other bits on the motorcycle had to be updated to keep up the 200 raging horses. So, there’s a three-stage traction control system that lets you power out without too much worry, a narrowed re-designed frame, a strengthened swingarm, lighter wheels and most importantly, on a motorcycle this fast, uprated brakes and a back-torque limiting slipper clutch. If mind-boggling, face-warping velocity is what you crave, there’s nothing better than this four-eyed beast on the market today. Coming off a full-bore launch, the speedo needle utterly disregards the fact that it’s progressive in nature; just appears to be jumping straight from 0 to 100 kph, onto 150, then 210, 250…doing all this within seconds of each other, seemingly without any sort of real effort. Frighteningly fast has just been redefined. Though we don’t think Suzuki is going to give in without a fight. What will they hit back with? Let the speed wars begin!